ST. GEORGE — A meeting in the New Promise Lutheran Church in St. George was noisy as toddlers and babies voiced their needs and delights to a room of attending mothers, but despite the cacophony, there was an air of sisterhood and calm permeating the space. The women are part of a motherhood and breastfeeding support group known as Free2Feed, a nonprofit organization that started about three years ago, said its founder, Aditi Aromi. The organization has had such great success in St. George that it is expanding to include a chapter in Cedar City. Free2Feed began solely as a breastfeeding support group for Aromi who was looking for support in her own personal breastfeeding journey. At the time, no group existed that offered the support she was looking for, so Aromi created her own. Since its small beginning with only six members, the group has become a registered nonprofit and has seen over 400 women participate in its classes, support groups and fundraisers. 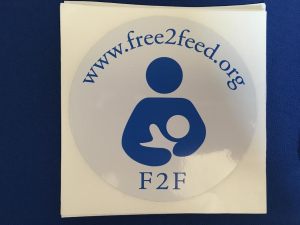 Free2Feed has evolved from its early stages of breastfeeding support to become a full motherhood support group that Aromi said hopes to fulfill three key pieces for mothers: support, education and love. “We incorporate the whole gamut of motherhood,” Aromi said. The organization holds weekly meetings that include education classes such as car seat safety, kinder music, body imaging, nutrition and holistic healing methods as well as breastfeeding support. Outside of the weekly meetings, Free2Feed also offers a “mom’s night out” and other events that provide opportunities for mothers to socialize with others in similar life stages. Sarah Clark, a member since 2013, originally joined the group when her son was 2 months old. She said she learned about Free2Feed from a friend and decided to see what they offered. Clark has stayed with the group as it has grown and changed in large part because of the support and friendships she has gained through her membership. I like that you make new friends — which is great — and you help each other. Today, a mom said she had post-partum depression, and that’s hard to say … but once she did, someone else can say, ‘Oh my gosh, I have that too,’ and you can connect and start to heal rather than keeping it in. I think that’s so important to come together and help each other out. Free2Feed of St. George is currently raising funds to help pay the rent for their meeting space, Aromi said. The group would like to be able to pay for a full year of rent to be sure they have a place to hold their weekly meetings. Once Free2Feed meets its financial goal, the group will announce the date of a dinner event where attendees will receive a nice dinner, live music and opportunities to win amazing prizes. Tickets for the fundraising dinner are $5 per person or $20 for a family of five. Childcare will be available at the event “for those who want to dine without children” at a cost of $2. Those interested in donating to support this goal can learn more at the Free2Feed fundraiser dinner Web page. Mothers wishing to join or learn more about Free2Feed are invited to come to a meeting. The first visit is always free, Aromi said. After the first visit, membership dues are $10 for four educational classes or $50 for the whole year. Free2Feed of St. George meets every Monday from 10-11:30 a.m. in the New Promise Lutheran Church, Luther Hall, 244 S. Valley View Drive, St. George. 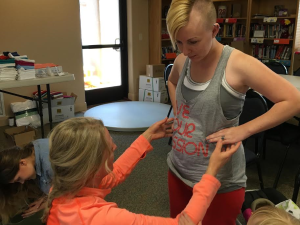 Free2Feed’s new chapter in Cedar City will start meeting in April, Aromi said. A Facebook page for the Cedar City chapter has been set up for women to find more information.